“Mr Snowden violated US law. He should return to the US and face justice,” argued a senior White House advisor. That attitude reflects the reaction of many in the American and British security establishment to Snowden’s leaking of classified documents detailing the mass surveillance programs of the US and British governments. 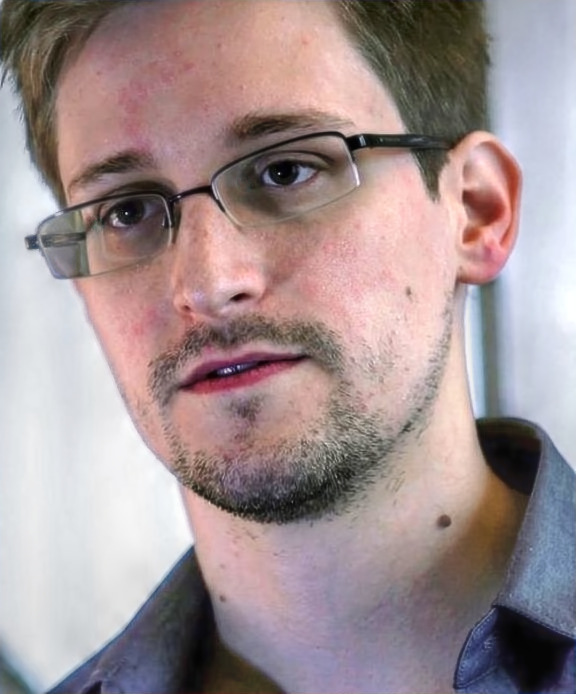 Currently Snowden has temporary asylum in Russia, which is due to expire at the end of July 2014 (though I’m still hoping Germany might do the right thing and offer him asylum). There are however I think broadly three reasons that could be given for why Snowden should instead go back to America and face trial, only one of which has I think has some plausibility, though I think its overridden by other considerations. First, some might argue that Snowden should go back and face trial because he harmed national security. This is the kind of argument made by the security services themselves and their political allies. The head of Britain’s MI6 for example said that the UK’s enemies were “rubbing their hands with glee” at Snowden’s revelations about spying practices. I think this kind of argument is entirely wrong. Not only should we be sceptical that national security, as it conceived by the US and UK authorities, is something to be protected. But as Glenn Greenwald shows in his excellent replies to this BBC interview the supposed harm done to national security is unproven, and most likely untrue. ‘Terrorist’ groups for example already know that everything they do is subject to intense monitoring by the security services. It is also an attempt to distract from how these surveillance programs have invaded the privacy of innocent people. Furthermore, we should always question official claims of harm done to national security if those same officials deny the public access to the information required to evaluate those claims. A second kind of argument doesn’t claim that Snowden did anything wrong but argues that if you carry out an act of civil disobedience you should be prepared to bear the legal consequences of it. It is often thought that even if breaking an individual law (such as leaking classified documents) can be justified for conscientious reasons, you are still have an obligation to the overall legal and political system. This means that you should stand trial as a way to show both your disagreement with the specific law and your commitment to that system. But as Kimberley Brownlee points out it is not clear that willingness to accept punishment is really an essential part of civil disobedience. In many cases of civil disobedience there does not seem to be any obligation to the overall legal and political system because that system is so unjust. This is definitely true of the US during the period of the civil rights movement (often thought a defining case of civil disobedience) and it is, I would argue, still true of the US today. The enormous levels of economic inequality, the extensive and institutionalised racial and gender injustices, and the military and economic actions of the US across the world, mean that citizens (such as Snowden) do not I think have an obligation to the US legal and political system. A more plausible version of the previous argument is that Snowden should go back because this makes it more likely that people will take his views more seriously and challenge the surveillance programs of the state. This is essentially a strategic argument about what is most likely to convince people. A frequent reaction in the American press has for example to point to Snowden’s supposed ‘hypocrisy’ in asking for asylum from an authoritarian regime like Russia (it is frequently forgotten that Snowden was forced to stay in Russia because the US withdrew his passport). Returning to America, it could be argued, would make it easier to counteract this kind of argument and make the case against state surveillance. While I think this is the most plausible argument (because we desperately need a campaign against the surveillance of the state) I don’t think its decisive. Its not clear to me that if Snowden would go back that it would make that much difference to the debate. There is an enmeshed security and media establishment in the US (and the UK) that is dedicated to the destruction of his credibility. Furthermore we have to consider how terribly the US has treated other similar whistle-blowers, such as Chelsea Manning. She was subjected to 11 months of solitary confinement, which the UN special rapporteur on torture described as “cruel, inhuman and degrading treatment” that “could constitute torture”, and she has now been sentenced to 35 years in prison. Given that Snowden could expect similar treatment I think he is justified in staying as far away as he can. I largely agree with your claims, but I have a question about your strategy. It seems to me that your arguments assume that Snowden did the right right, all things considered. Do your arguments depend on this premis, or would they also hold for a whistleblower with regard to whom we are genuinely unsure whether or not he or she did the right thing? Or would there be a stronger case for them to actually stand trial, in order for a truth-seeking process (both the legal process, and the public debate) to take place? A second point, on your argument about the US system being unjust, and hence not creating obligations for Snowden: I wonder whether one shouldn’t draw a distinction here, between a system that is unjust towards some groups (unfortunately, almost any system is), and a system that is unjust towards the civil disobedients themselves. I’m not sure whether the US system has been particularly unjust towards Edward Snowden. The argument you are raising runs the risk of being abused: for example, someone might justify not paying taxes by claiming that the system is unjust, even if it is not unjust towards them (they might be the ones who profit). How would you draw a distinction there? A great post, Bruno. Lisa was too quick for me and managed to get both the comments that came to my mind before I had time to write them. Accordingly, a couple of connected thoughts on each to add dimensions rather than new issues. On the final argument you consider, I wonder whether I could enter a couple of extra thoughts on why standing trial might be valuable. The truth-seeking point made by Lisa seems important here – the trial could be good for making his revelations even more compelling. In addition, I wonder whether you think the security/media attack on Snowdon could be somewhat counterbalanced by popular support for him, or, indeed, by other media outlets that have been more supportive? I think I probably accept your point about countervailing considerations (to wit, how he might be treated). On the other hand, if such treatment became know, it might rally further support in his favour. Perhaps asking someone to endure that for the greater good reaches too far, but we might think it would be noble of him to do it. I wonder also whether there is any possibility that we could provide some other means of ensuring his general security and safety while on-trial (e.g., oversight by a third party)? On Lisa's second point, I am interested to hear what you think. Often obligation to obey the state or stand trial for disobedience is premised on legitimacy of a government, a line that can be thought to admit of a certain amount of injustice. Your points are very well received, but would you take the line as far as saying the US government is illegitimate? While I am on it, though, a question also back to you, Lisa: might we think also that even someone not so specifically treated unjustly by a state can stand against it on behalf of others? I think I might have some time for a refusal to pay taxes if it was (part of) a genuine and viable strategy for fighting injustice experienced by others. Andrew, I do not want to exclude the possibility of such a scenario, but it would indeed have to be part of a larger packet of strategies that show that it is not driven merely by self-interest. You'd need a credible story that a refusal to pay taxes would do more good than harm for those who suffer from injustice. Thanks Lisa. In cases where we are not sure if the whistle-blower has done the right thing, I would not place trust in the courts as a truth-seeking process. Judges tend to have a similar view of national security as the security services and decide accordingly. I do however have greater hope for public debate, which is why I think this is the most important (but not decisive) consideration in favour of Snowden returning. In response to Andrew’s addition to this idea, I’m not sure that a trial would in fact be such a good way for Snowden’s revelations to become more compelling. Take Chelsea Manning’s court case. She faced the same dilemma of many civil disobedience court cases: that making a public spectacle of the court process risks angering the judge and increasing one’s possible sentence (see for example http://jackofkent.com/2013/08/bradley-mannings-lawyers/). In Manning’s case her lawyers decided that she should try and show as much remorse as possible (she even apologized for what she had done) in order to get the judge on her side. That was perhaps understandable given the possible punishment she faced, but it also meant that the message sent by her trial to the public was one of contrition for what she had done and not defiance against the system. I think Snowden would face similar pressures. Both of you raise questions of whether and how the US system is legitimate. I think it is illegitimate in the narrow sense that people do not have an obligation to obey its laws and in the broader sense that its claim to being democratic and acting in its people’s interest is (to put it lightly) flawed. I think Lisa however raises an interesting point whether the US’s legitimacy varies across different individuals and whether it is more legitimate for Snowden. As a cis white male he does not face the kind of institutional injustices that make the US illegitimate. But I tend to think that the level of injustice dispensed on America’s minorities, the poor and women discredits its legitimacy for everyone. To adapt the guiding thought of this blog, illegitimacy anywhere is I think a threat to legitimacy everywhere. Thanks, Bruno. My worries are similar to Lisa's and Andrew's. On the first, I take it that it may not much matter how trustworthy the courts are at seeking truth. The point is this: Let's imagine that Snowden had acted wrongfully. In this case, might there be other arguments for him returning to the US? If Snowden had done the wrong thing then I think we would be having a very different debate. I can't think of too many examples where a whistle-blower has done something wrong by making information public (but then I believe that most information should be public). In a case like that I suppose we would be arguing about whether you have an obligation to face punishment in general. I also think that even if there is no obligation to obey the law of an illegitimate state obviously there are other reasons to do so. In the case of a rich banker they should pay their taxes because that money should go to funding what social services do exist in the illegitimate state (though if we're talking about what bankers 'should' do, its stop being bankers). Generally my view on both of these matters is that I am only interested in civil disobedience and obligation for certain reasons. For lack of a better term I am only interested in 'left-wing' reasons and have little time for those who think they are not obligated or carry out civil disobedience for 'right-wing' reasons. I'll actually put a 'proper' response this evening. But what's wrong with being a banker? I'm pretty sure efficient financial flows are a fairly large boon for supporting welfare states etc. What about the bankers who engineer efficient financial flows so that corporations don't have to pay the taxes to support welfare states? One of the biggest political economy problems is that corporations (and the bankers that support them) are able to blackmail efforts to increase social spending by threatening to move their companies and profits overseas. Ah you have a problem with accountants, I hate those guys too. And the bankers who are necessary to move that corporation money?